The contaminated water crisis in Flint, Mich., has spurred the local nonprofit community into action, both tailoring programming to the new needs of the city and managing donations from across the country. Local organizations’ involvement in the crisis dates back to the fall, according to Jamie Gaskin, CEO of the United Way of Genesee County, when the local medical community confirmed significant amounts of lead in the city’s tap water. 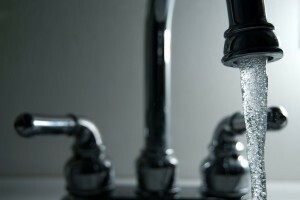 Questions concerning the quality of the city’s tap water dated back to the spring of 2014, according to multiple reports, when the city switched its water source from the Detroit Water and Sewerage Department (DWSD) to the Flint River. The local United Way has stepped up its efforts in two primary ways. One, it helps fund the local access 2-1-1 phone system and call centers. The centers typically field between 100 and 200 calls per day, but have seen an uptick to 800 to 1,200 per day during the crisis. The United Way of Genesee County has also focused on capacity building, raising funds to sponsor the work of other organizations. About $1.1 million has been raised as of the end of January, according to Gaskin. Keeping fundraising momentum will be key in the coming months, Gaskin said. Flint switched back to DWSD water several months ago, but it typically takes about six months for water to return to normal levels after a switch. “Although we’re in emergency-response mode, we really want to think about the long-term,” Gaskin said. A focus on the future led to the creation of the Flint Child Health & Development Fund, according to Kathi Horton, president of the Community Foundation of Greater Flint. The fund was started in response to the local health community identifying the need for flexible resources for impacted children and families over the next two decades. The fund has raised about $500,000 from 3,000 donations since being created a few weeks ago, according to Horton. The foundation has yet to establish a goal for the fund, but it is clear that significant progress will need to be made. “We know that this response over a 20-year period is going to require millions of dollars, not thousands of dollars,” Horton said. The Community Foundation of Greater Flint’s mission-related focuses include healthy food access, literacy and strengthening neighborhoods. About 40 percent of the city’s population was living in poverty prior to the water crisis, Horton said. A continued focus moving forward will be using the attention the water crisis has received to highlight other inequities, as well as preparing to move forward after the media spotlight dies down. Flint-area organizations have met on a weekly basis to gauge ongoing need and to coordinate efforts, according to Bill Goodwill, business manager of The Salvation Army in Genesee County. Federal, state, municipal, education, health and religious entities have all participated. Local pipe-fitter unions have also lent their support along with a car dealership that has provided use of its mechanical bay for water storage. “The water is coming in 15, 16, 17 semi-trailer loads at a time,” Goodwill said, adding that recycling will likely be a future challenge for the community to face. Kara Ross, vice president of the Food Bank of Eastern Michigan, estimated that 1.4 million bottles of water have been donated. The food bank has distributed 21 semi-trucks full of water per week, each capable of hauling 18 pallets. The increased need has led to the food bank switching over to a seven-day-per-week operation, as opposed to its typical five-day schedule plus Saturday mornings. The food bank has, since 1981, distributed food to partner organizations in the region, providing nearly nine million pounds of fresh produce annually. Balancing water needs with its existing food distribution and nutrition education initiatives will be particularly important moving forward, Ross said, as produces’ vitamin content can help mitigate the harmful long-term effects of lead. American Red Cross of East Central Bay has seen its role in helping the city’s residents evolve over the past few weeks, according to Tony Lasher, executive director. Initially, the Red Cross staff worked at points of distribution throughout the city and helped the state with its warehousing operations. Those responsibilities have since been taken over by the National Guard and state, respectively. The Red Cross has continued its canvassing efforts, distributing water, filters and testing kits. Staff has also collaborated with the local United Way in processing volunteers. About 270 trained Red Cross members, 95 percent of them volunteers, have provided boots on the ground during the water crisis. Over 1,000 others have come off the street to lend a hand, Lasher said.